Traffic jams are the bain of most motorists lives. All we want to do when we get into our car is reach our destination as comfortably and quickly as possible. Agreed? Time spent in a car can be enjoyable. Driving along the open road, window down and breeze in your face. But when we're stuck in a traffic jam our cars can feel like a prison. 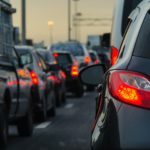 Not moving anywhere and confined between the doors of your cabin for an undisclosed amount of time isn't a pleasant thought.UK roads have been hailed as some of the most gridlocked in the world. I suppose this is to be expected. As a Nation, we are very densely populated and it's no secret that Brits love cars. But that doesn't make the 'traffic jam pill' any easier to swallow. So, if you want to reduce your time spent sitting in traffic.... and let's face it, who doesn't. Then read on. 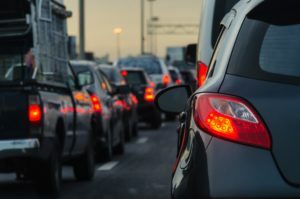 In this article, we'll be taking a deeper look into how much time we waste in traffic and how to avoid traffic jams.